The GPA calculator doesn’t work and it is vary slow. PowerSchool: Your grade changed Me: *opens the app to check* PowerSchool: *doesn't show anything* Honestly it’s really annoying. I can see when my grade changes but if I go to check and even refresh the app nothing changes. It’s really irritating especially since my teachers tend put things in at the same time (coincidently). Doesn’t work with my iPhone can’t get any information from my kids school. Good for individual assignments (grades, missing assignments etc). Ok for class grades - but if class extends over 2 semesters, the class is listed twice, each with a grade. It can be difficult to determine which grade is for current semester. GPA is useless. It only displays current quarter. No way to see current semester or previous quarters or semester. 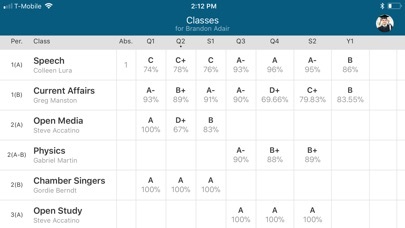 Why it doesn’t update my son grades and it doesn’t show his GPA? Why did I give you my email address and I still don’t know approximate time to pick up my child after track meet? I love this app! I can keep up with 3 kids and their tests, assignments, and grades with one quick touch on my phone. Would recommend this for teachers and schools! This helps when you forget your assignments. Don’t bother. This product is not worth it. Such better products available. This app simply is not very good. It’s not up to date and doesn’t have the correct things. Wouldn’t recommend it to anyone. I have an A in gym but I’m athletic, how am I doing awful? only brings bad news . i like using powerschool to check on my grades and has helped me to keep them up, but for the past month or so it hasn’t been updating any of them as well as other people in my district. The app does not update grades since December 2018. School cannot solve it. They send us with the “app” support team. I guess here I am. No help directly from the app. It is useless right now. 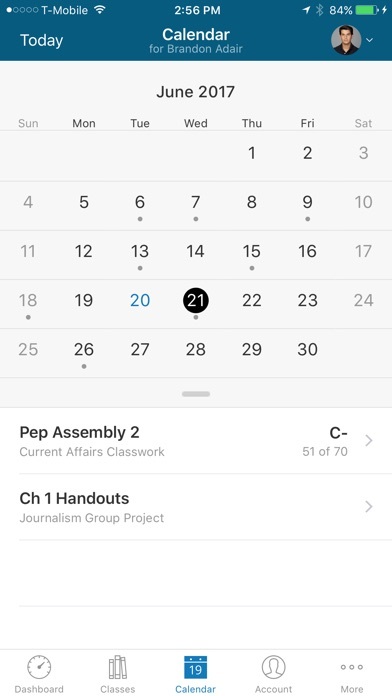 Even though you get notification for your grades (so obviously you’re logged in), it takes a minute to start reloading then you have to log back in not once, but twice (and on my small phone keyboard)!!! And most of our usernames and passwords are long strands of numbers and letters so it’s suuuuppppppeeeeerrrrrr annoying! 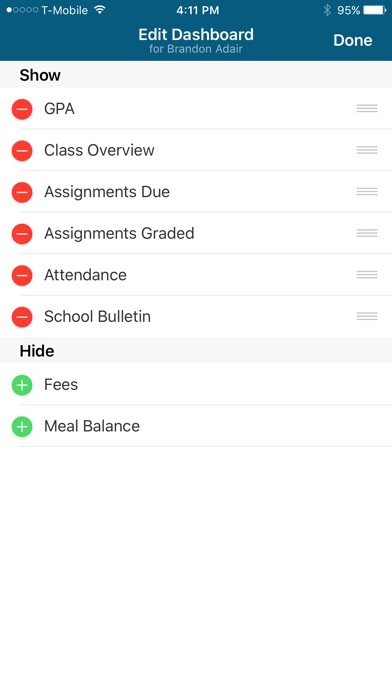 Don’t get me wrong, it is nice to be able to check your grades on your phone but point of that is so you can check them quickly and easily when you don’t have computer which this app doesn’t allow. Would be a good app if you could fix the sign in process-keep me logged in or AT LEAST only make my type my log-in in once. I can’t even see my grades. Not sure if it’s my schools fault or the apps fault. Very nice app but it would be nice if you could turn on notifications for when an assignment is graded. I love this app, but needs a little fixing. The grades don’t update frequently and it’s just annoying. I’ve seen on the computer my grades, then I check my phone and they aren’t updated and have old grades on it. Pleaseeeeee fix this issue. For the past 2 weeks I have been getting errors when trying to log in. Unsecure connection and no server with that hostname. i’ve been using this app for a very long time, and i’ve always had difficulties. for starters, i have to log in 4 times just to view my grade, as if logging on every single time i use the app isn’t annoying. second my grades take a long time to update, and sometimes they’re not even accurate. this app just needs to be updated very soon. The PowerSchool app is not working on iPhones. From September until about 2 weeks ago this app worked beautifully. Now I cannot log in. makes me log in everytime i open the app, which is very inconvenient bc i might as well use the website. The grades shown in the app will not update for me. It has already been over a week and the app is still “trying” to fix the problem. EDIT: Had to manually reinstall and app and log back in again. To be honest, I don't know where all of these negative reviews are coming from. I've used a lot of different grade systems at different schools and Powerschool is by far the most effective. The new schedule feature is something that is SO convenient with my schedule at school, and it has replaced the annoying calendar on the back of my lanyard. 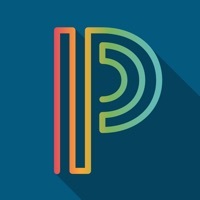 Powerschool should continue to innovate and expand the apps functionality to accommodate new grading systems, and reduce its contracting price and market more heavily so that more schools adopt this system, because it will increase students overall effort and attendance. 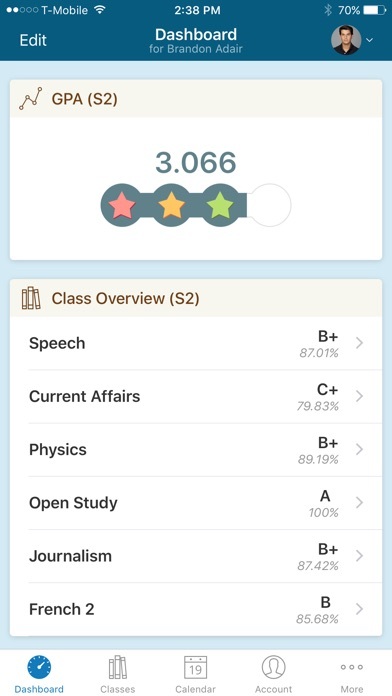 Seeing the grades on this app is so convenient and the app itself doesn't look like it came out 5 years ago, the user interface is very good and although it can use a few aesthetic changes, it's super effective. Whenever I open this app, I have to sign in again. I would like to check if I’m doing well in class without taking the time to renter over and over again. This ruins the entire app for me. change it back to only one trimester at a time bc i’m getting rlly annoyed with having to have all of my grades for the whole year there. it’s confusing and i don’t care about the grades that have already been published. i just want to see the classes i’m in the middle of. For six months now the app has had problems syncing. This is not an up-to-date thing and I don't recommend it. I really love this app, but I wish I could get a notification every time a grade is put in so I can know what I’m missing and what I get on my work. I also wish we could see our percentage in class because waiting until my grade drops a full letter grade then trying to make up work isn’t easy but I never really know that I miss things because I don’t get notifications for when 0’s are put in as a grade. It’s there anyway that us students can get our grades up and keep them up extra credit i know that but can it be more? 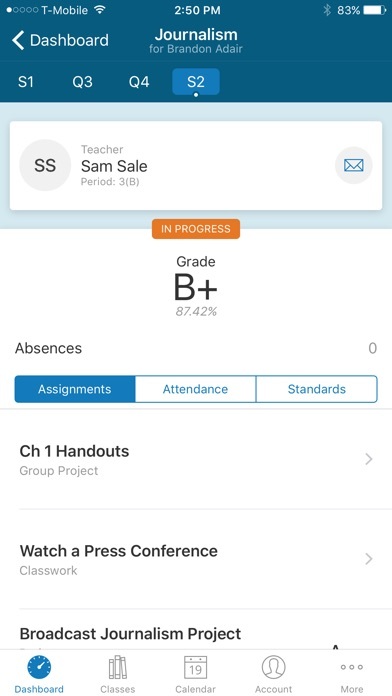 I believe that this app is great because I always get a notification that my grades change and I also have one made it change and how I believe that it loads very very fast does not take long at all it’s also shows the Simmons that are missing and the time is that I turned in and how much I got graded on it. As a parent, this app was working fine for me until a few days ago when it warned that it was having trouble syncing data. Today I was asked to log back in, but given a message that user name and/or password are incorrect. I am able to log in on the website but not on the app. My student has never been able to log into the app. Fix the issues please!